I followed a tweet to view a picture posted on Twitpic and instead was interrupted by the following “Enjoy a Hot Fudge Brownie Sundae” display pop up ad from McDonalds. 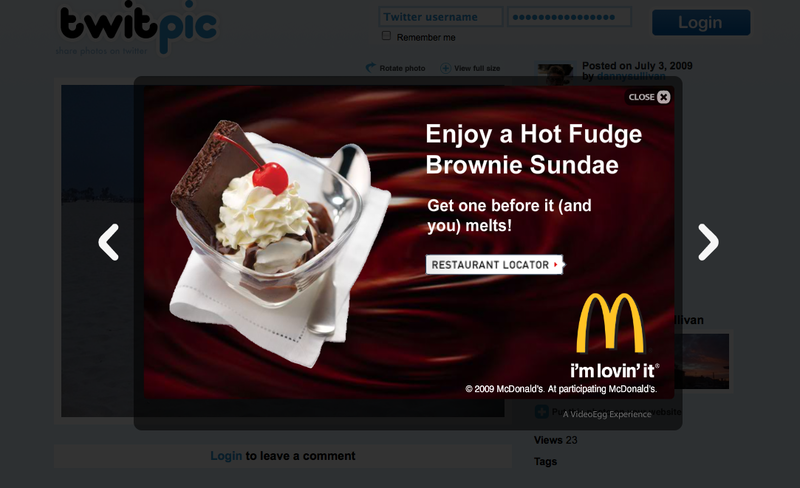 I am not sure how Twitpic or its advertiser McDonalds determined I was in the market for a brownie hot fudge sundae at the moment I landed on the Twitpic site, but I wasn’t. However, I was curious about how the McDonalds restaurant locator worked and clicked through to see what it had to offer. 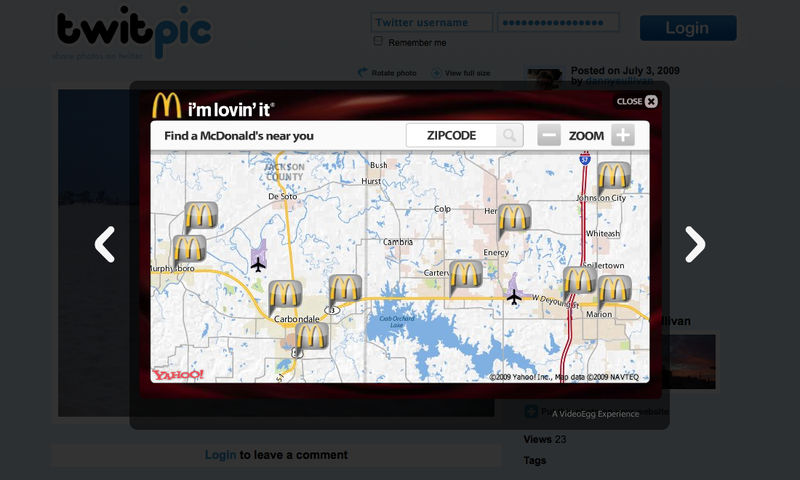 The VideoEgg delivered ad pointed me to Yahoo Maps to locate a McDonalds closest to me. IP based ad targeting as imperfect as it is, produced a map of Texas based McDonalds – just one state and several hundred miles a way from my actual location in Oklahoma.